Film Trailer & IMDB: A Night to Remember – I Love Disaster Movies! 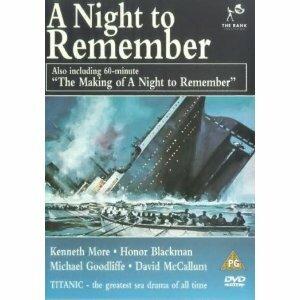 The absoutely beautiful “A Night to Remember” is for a lot of people their choice of film when it comes to Titanic. For those of you that haven’t taken the journey with it, here’s the film trailer and IMDB page. Also if you’re going for the DVD I recommend the dual disc edition which on the flip side has loads of making of stuff which is quite unusual for a film so old!